Revolutions, like number one hits, look to the outsider like they come out of the blue. But the young anti-fascist organisers of Egypt's capital city have been working on this for three years. Much of the planning and preparation has been to do with self-disicpline and training in nonviolence. Gene Sharp's "Albert Einstein Institute" have copies of his most recent publication free to download in various languages including arabic and his strategies have been behind many nonviolent revolutions over the past few years. Tactics used by the Egyptian protestors included setting up decoy protests while walking the streets elsewhere to set-up the protest-proper which the police didn't have the resources to halt before it was too late; standing arms-out infront of police and taking tear gas cannisters to the body, kneeling - half naked - before riot police (who then retreated in confusion). That this has been a middle-class techo-friendly revolution has been much publicised. But even this is not entirely true - the protest that lit the blue touch paper began in a slum, albeit organised by middle-class agitators. The real ingredients have been patience, nonviolence, self-sacrifice. Against such there can be no law. A review on this site can be found here. 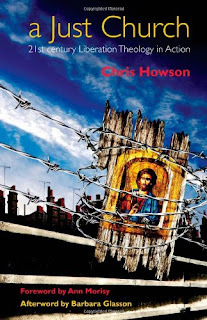 Chris Howson, a Anglican priest and city missioner in Bradford is hosting a Liberation theology conference for July 23/24 2011. 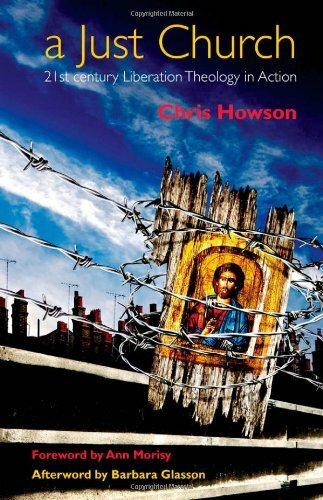 He writes, "If you have read Jesus 'proclaiming good news for the poor' and realised that the church often fails to live up to his teachings, then come on this conference. (It will also be fun and include curry eating!)" I met Chris first at the Christianity and anarchism conference in 2006 and his church hosted teh second conference in 2008 (I think!). The conference is likely to be both reflective and aimed at real practical responses and challenges to the unjust systems we face. To find out more or register an interest contact Chris on 01274 727034. And you can now by his book too! The Obama regime is playing the Fundamentalist Muslim Card to discredit the revolutionary Egyptians. An old story. Sunday prayers at Tahrir Square, Cairo, 6th February, remembrance of the martyrs of the current liberation sruggle.